The sheer amount of exposure to EMF (electromagnetic field) radiation that we experience in everyday life is a fast-growing concern. 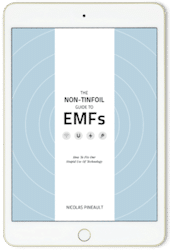 While the vast majority of people aren’t sensitive to EMF exposure, those who are can experience a plethora of concerning symptoms due to that exposure. These symptoms can include concentration issues, fatigue, sinus problems, insomnia, and hyperactivity. While reducing your exposure to this type of radiation may be the optimal way to diminish these symptoms, it’s not always easy. EMF exposure is all too common in modern society. From routers to cell phones, microwave ovens to Bluetooth devices and the whole range of devices supported by The Internet of Things, making everything more connected, we are bombarded by EMFs on a daily basis. But that doesn’t mean nothing can be done about it. Here, we’re going to look at the clothing that has the ability to reduce the radiation that your body is exposed to. While no EMF protection clothing has the ability to 100% shield you from the radiation, they can reduce your exposure, helping to diminish your symptoms and the possible underlying causes. Available in medium and large, well suited to both sexes, and made of a silver-nylon blend, this tank t-shirt shield from OURSURE provides shielding from both EMF and RF (radio field) up to 60 dB, meaning effective reduction rates of over 99.999% for frequencies between 10 MHz to 3 GHz. This is a broad range of protection that helps shield against not just cell phones and routers, but microwaves and radio towers, as well. 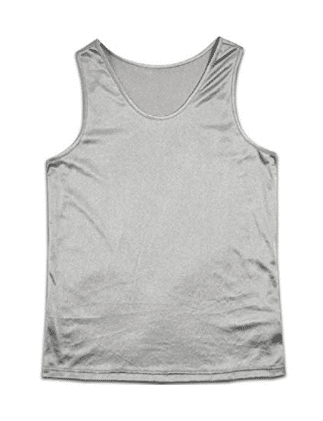 The tank is not only comfortable, but discreet, meaning it can easily be worn under other garments with ease. When tested with EMF measuring devices, it shows precisely the levels of protection that it promises, too. As a unisex option for men and women, it’s relatively expensive compared to some of the other products that we offer here, but it’s in precisely the kind of price range you can expect for clothing that provides such a wide range of protection up the decibels that it does. Size M/L: chest-40.2" (102 cm), length-27" (68-70 cm), Color: Silver. Another silver-nylon blend product from OURSURE, this one also offers up to 60 dB protection against radiation in wavelengths from 10 MHz to 3 GHz. With risks such as cancer, mean have plenty of reason to be protective of the most sensitive region of their body and these boxer briefs are designed to offer precisely the kind of protection against EMF and RF radiation that’s needed. They are available in small, medium, and large and are one of the cheapest options we’re going to be looking at in these reviews. 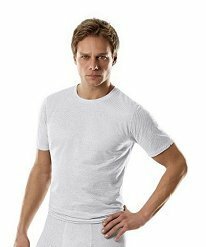 When it comes to undergarments, especially those worn on the most sensitive regions of the body, comfort is an extra important concern and men will be happy to learn that these boxer briefs don’t cause any chafing, itching or irritation. 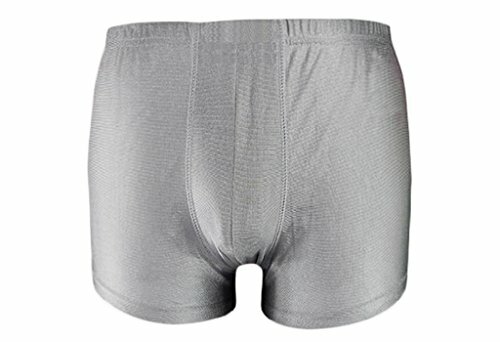 The silver-nylon blend is highly breathable and flexible, meaning there is very little difference in the sensation of wearing these compared to other boxer briefs. What’s more, the extra discretion is a big plus for those who don’t want to have to constantly explain what EMF clothing is and why they are wearing it. Furthermore, tests using EMF meters show that the shorts offer the protection that’s promised, especially near the most sensitive areas of the body. 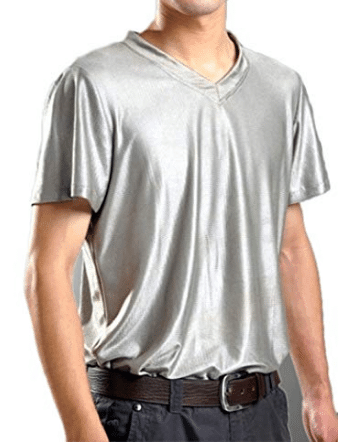 The last product on the list from OURSURE, this v-neck t-shirt provides exactly the kind of protection from EMF and RF radiation that we have come to expect. 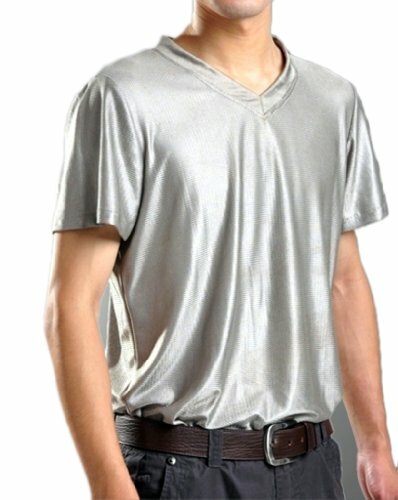 Offering shielding for wavelengths up to 3 GHz, this silver-nylon blend t-shirt is designed for men and is only available in one size. Price-wise, it’s comparable to the unisex tank t-shirt also from OURSURE reviewed above. Compared to other products, it’s not quite as discreet, and the shiny aesthetic that stands out quite a bit might be something of a detracting factor compared to the other products here. However, despite the look, it’s comfortable, causes no irritation to the skin, and is a highly breathable material, meaning its well suited for hot weather as well as wearing it underneath other layers in the cold. Tests with EMF meters show that it provides the level of protection expected from OURSURE products, too. Some wearers might be slightly dismayed at the single size available. While it can be a degree too large for those suited to wearing small or medium-sized clothing, the shoulders can feel a little tight on those who normally wear large clothing. If a slightly baggier t-shirt isn’t much of a concern, however, it’s worth recommending. This product, designed by JUNZENIA, is specifically made for pregnant women, who may have more cause than most to be concerned about the effects of EMF radiation not just because of the symptoms they experience but also because of the potential danger that it might pose to their unborn child. This large anti-radiation dress provides up to 50 dB of shielding against radiation in wavelengths from 10 MHz to 1000MHz, meaning an attenuation/reduction rate of 99.999%. The blue fabric is lined with silver fiber on the interior, which provides the protection. The dress is built to match the needs of the pregnant woman, and the one-size-fits-all works very well for even those to tend to “show” a lot more than other. When it comes to discretion, this is an easily recommendable choice as well. The blue cover over the silver fiber fabric keeps the protective portion on the inside. While it can discolor over time, this has no bearing on the effectiveness of the silver fiber. 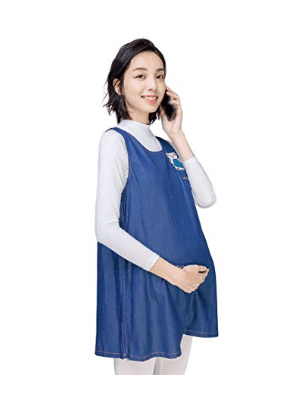 What’s more, the maternity dress also comes with an EMF protective tank. Given the relatively low pricing, that’s a very generous offer well worth considering. ANTI-RADIATION DRESS: Shielding performance Max 99.99% (10MHz-1000MHz). Shielding: LF (Low frequency electric fields) & HF (High frequency electric fields). Protect your baby during pregnancy and early childhood when they are at highest risk for radiation exposure. It also protects you. RADIATION SHIELD FOR PREGNANT WOMEN: JUNZENIA textile products was tested by accredited institutes and verified to have up to 50 dB shielding effectiveness. This dress reduces the risk of everyday RF radiation. It's ideal to use from pregnancy to baby arrives. GIVE YOU PEACE OF MIND. Reduce your concern about everyday radiation from cell phones, computer and laptops, etc. Relieving anxiety of pregnant women, you can work on your laptop, tablet and cell phone during pregnancy freely. SIZE: One Size Fit All. Bust: 42.9″/ 109cm, Length: 31.1″/ 79cm, Bottom: 44.1″/ 112cm. Manual measure, 1-3cm error of measurement is in normal range. Please Note: The detachable inner lining was made of silver fiber fabric, its color may turn darker after a period of use. The color change does not affect usage and functionality. WASHING METHOD: Dry-clean recommend. Or gentle hand wash with cold water. Neutral or weak acid detergent is appropriate. Please wash separately. Do not bleach. Do not long soak. No machine-wash. No wring, hang dry, avoid direct light exposure. This t-shirt, manufactured by Antiwave, is the cheapest t-shirt and the cheapest unisex product on the list, with options for both men and women. Made with a cotton, polyamide and silver blend, it has slightly lower amounts of silver in compared to the products form OURSURE. This means it’s effective for 75% attenuation/reduction rates in wavelengths from 30 kHz to 3GHz, a slightly lower range and effectiveness than others. However, it does have a few benefits that still make it worth considering. First of all, unlike other silver-based products, it doesn’t have the shiny aesthetic that can make those garments a lot more noticeable. Furthermore, unlike the other products, it’s suitable for gentle machine washes instead of being handwash, only. Wearers have experienced significantly fewer symptoms when exposed to EMF waves, so the 75% attenuation rate might be enough to help you as well if you’re not willing to pay the extra money for 99.999%. Though the range might be slightly lower, it still offers good protection from cell phone and router signals, including 4g and 5g frequencies. Washing Instructions: Gentle wash (104º) with TexCare, do not use bleach or chemical detergents. Do not tumble dry. Iron with low heat. 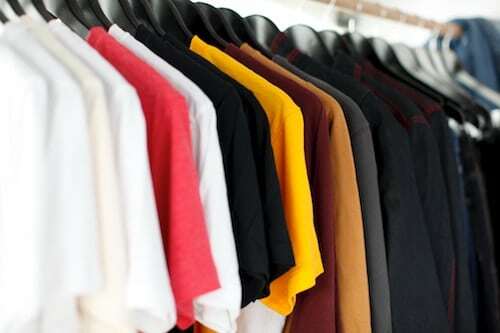 · Materials: Different materials, including copper, silver, aluminum, and mylar are often used in EMF clothing to effective attenuate (or reduce) how much radiation can pass through it. It works much like how lead is used to protect the body from the effects of x-rays (but without the health risks of lead, of course). · Shielding effectiveness: The effectiveness of EMF shielding clothing is measured in decibels (or dB). From 10 dB, you can experience reduction rates of 90%, while 50 dB protection offers 99.999% reduction. The wavelength, measured in GHz is important, too. The GHz range shows what wavelength the product blocks radiation from, so a 1-to-5 GHz product blocks EMFs in that range, which would include cell phones and routers. · Comfort: Of course, clothing has to be comfortable. It’s no good if you buy a garment only to find that it’s unwieldy or difficult to wear. For this reason, it’s a good idea to find radiation protection clothing that best suits your body type. 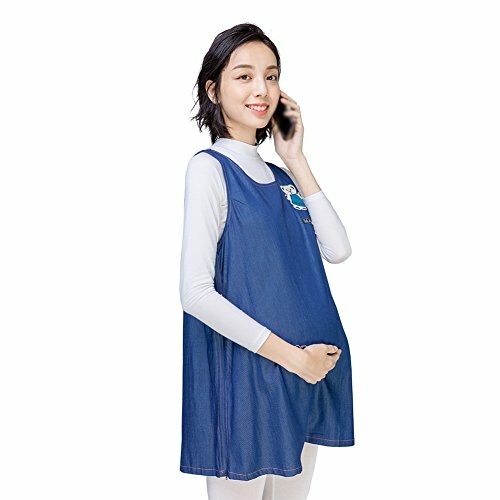 For instance, pregnant women may be concerned about the amount of EMF they are subject to and may want to look specifically at the maternity wear featured in our reviews. With that out of the way, it’s time to look at some of the best EMF protective clothing on the market and just how effective it is. There is a wide range of EMF protective clothing, suited to fit all kinds of needs. 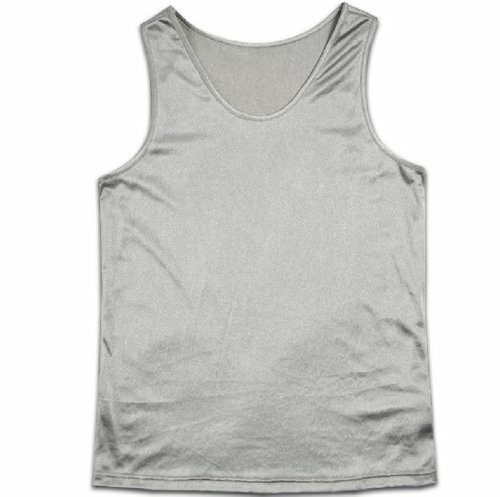 When it comes to maximizing both discretion and protection, then the tank tee from OURSURE might be the easiest to recommend. However, if you’re a man, then the boxer briefs are yet more discreet while providing just as effective at protecting the most sensitive parts of the body, while the maternity dress, with its low price and high decibel protection is an easy recommend for pregnant women.